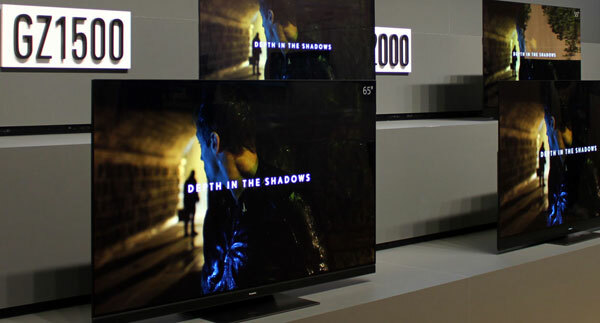 In Amsterdam, TP Vision unveiled the European line-up of 2019 Philips TVs and FlatpanelsHD got a first look. This year, Philips TVs will gain Dolby Vision but you will have to wait a little longer for HDMI 2.1. The company also highlighted Android 9 P, B&W and Dolby Atmos audio, Ambilight + Hue, and more. The headlining feature for Philips this year is Dolby Vision. It came as a surprise, partly because TP Vision was one of the first companies to jump on HDR10+, partly because the company in the past has argued that Dolby Vision offers no flexibility to to do picture enhancement. 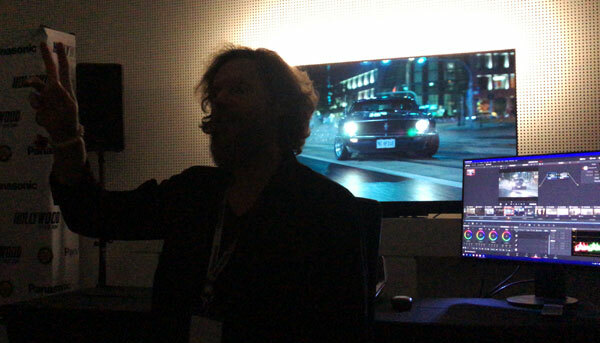 Philips’ picture quality guru Danny Tack was quick to address the second point, saying that they have held many meetings with Dolby and now found a satisfactory compromise. The ‘Dolby Vision Dark’ mode in the TVs is pure with no additional picture processing, while ‘Dolby Vision Bright’ adds some enhancements on top. The latter will be the default mode and it seems as if Dolby has decided to easy its requirements in its quest to expand the ecosystem. That is bad news for Hollywood and directors such as Christopher Nolan who continue to push for a ‘reference mode’ in TVs. 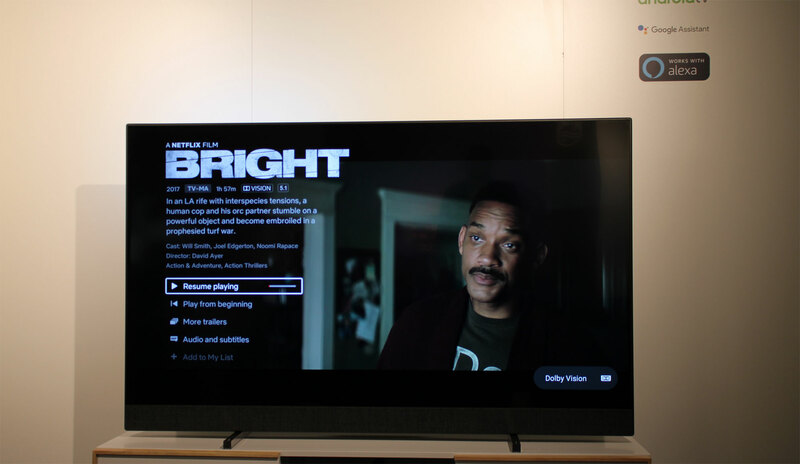 The company gave a demonstration of its Dolby Vision Bright mode compared to TVs from two competing brands, and besides obvious differences in brightness and visible differences in color tone, it is difficult to say anything definite. We will hopefully get a chance to examine Philips’ implementation of Dolby Vision later. Two new Philips OLED ranges (OLED804 and OLED854) were announced, with the only difference being design. Both are equipped with a third-generation P5 video processor – P5 Pro – that is said to be 20% more powerful. The company argues that it delivers cleaner, sharper, and brighter SDR pictures as well as HDR pictures without loss in shadow details, no clipping, and no banding. There were a couple of demonstrations to showcase the results and while the new processor was more effective in preventing clipping in bright details, it also seemed to raise the darkest greys in an effort to preserve shadow details. In this particular scene, shadow details were easily discernible but it came at the expense of picture depth. Again, we need more time with the TVs to say anything definite. 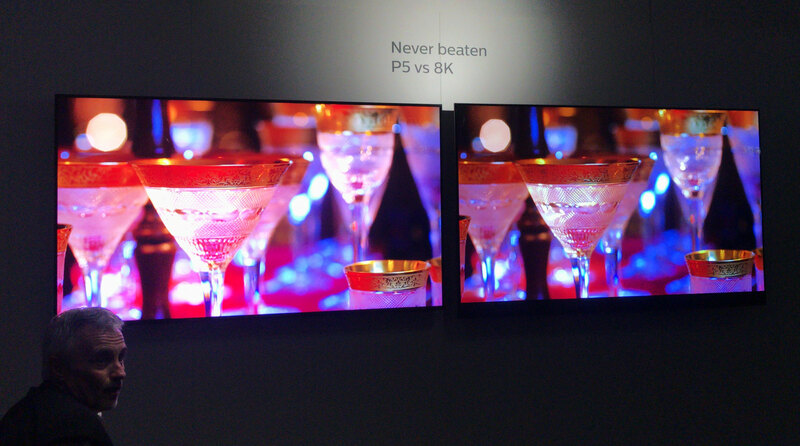 Lastly, Philips wished to highlight that upscaled 8K offers no benefit over 4K with current TVs. Danny Tack stressed that he had no intentions of bashing Samsung’s 8K TV (that was used for the demo) but simply wanted to demonstrate that with native 4K video content upscaled to 8K (on Samsung Q900R), a Philips 4K OLED is “never beaten”. Both TVs were in ‘Dynamic’ mode but the message came across quite effectively because the Philips OLED was clearly the better TV of the two, which can be attributed partly to the OLED technology’s strengths. Most of Philips’ picture quality demos revolved around the P5 video processor and its picture enhancement capabilities. 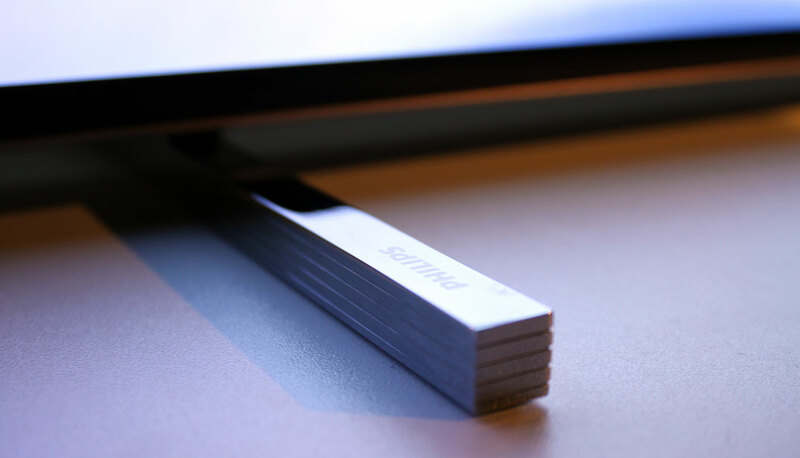 These are the exact things that many TV enthusiasts rush to turn off the moment they set up their new TV. From the outside, it is fascinating to observe the divergence in approach between the leading TV manufacturers these years. While Sony and Panasonic talk about “creator’s intent” and “Hollywood to the home”, and LG is putting a lot of effort into accurate colors and calibration features, Philips is talking up its picture enhancement features. Besides Dolby Vision, there are few palpable picture improvements in the 2019 Philips TVs. None of the TVs announced in Amsterdam have HDMI 2.1 ports, and besides ALLM (that enables auto-switching to game mode) no HDMI 2.1 features will be supported. 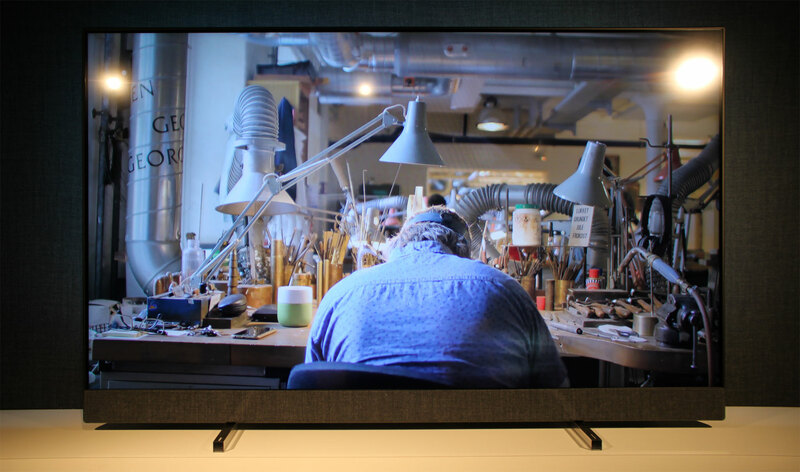 Danny Tack argued that HDMI 2.1 is more relevant for 8K TVs than 4K TVs and it is true that it is still early days for HDMI 2.1 but considering that some competitors are ready to move, Philips has some catching up to do in this area. Perhaps it will happen later this year. 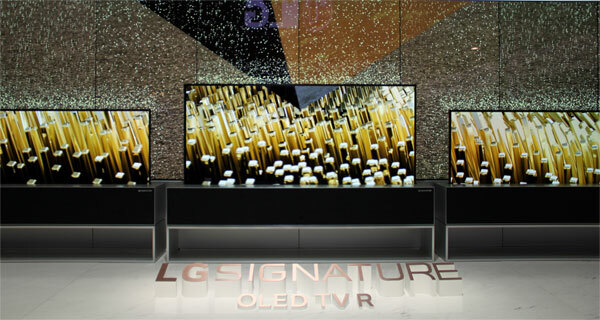 The company teased that it has more OLED TVs planned for the second half of the year. Not much emphasis was put on the new LCD TVs during the picture quality demos. After a tough decade, OLED is Philips’ way back into the segment for high-end TVs. It appears that the company is more focused on value-for-money, design, Ambilight, sound, and smart features with its LCD models. Philips’ ‘The One’ is an interesting proposition and we agree that the TV market is a jungle but if picture quality is lacking, will people still choose it over competing models? Based on our, admittedly short, time with ‘The One’ its picture quality looked quite average but we guess that is sort of the point. There are new IPS LCD TVs and VA LCD TVs but we do not yet have a full overview. Last year, TP Vision announced a partnership with acclaimed audio brand Bowers & Wilkins. In the first half of 2019, the company will launch its first LCD model with speakers tuned by B&W. A representative from B&W attended the event to give us some background on the partnership. Check out the video below. The company also announced a partnership with Dolby to bring not only Dolby Vision but also Dolby Atmos support to most of the 2019 TVs. The built-in speakers are of course not capable of delivering the full effect – there are currently no Philips TVs with up-firing speakers either – but the company said that Dolby Atmos (in Dolby Digital Plus) can be output to a soundbar or receiver via HDMI ARC. The new TVs are not equipped with HDMI eARC so there is no pass-through support for lossless audio such as Dolby TrueHD. Most of the 2019 Philips TVs will come pre-installed with Android 9 Pie that is the latest version of Android. The TVs (except 9104) are equipped with a new 10-15% faster MediaTek chipset, which is also one of the reasons why Philips can support Dolby Vision and Dolby Atmos this year. At launch, Netflix’s Dolby Vision should be supported. It was already functional on the prototype models exhibited in Amsterdam. As for Netflix’s Atmos, Philips is still working on it. Following the redesigned home screen in Android 8 Oreo, Android 9 Pie includes mostly bug fixes and performance tweaks, according to Google. Philips added that there are some improvements relating to Google Home integration. The 2019 models can also be turned on via a voice command to a Google Home device. The company gave us an update on YouTube HDR, which is still not functional in Philips Android TVs. Philips said that it is up to Google to flip the switch via an update to the YouTube app. There is still no confirmed date. All of this year’s TVs as well as many previous models have the required VP9-2 decoding for YouTube HDR. Speaking of Android 8 Oreo, Philips gave us a status on the roll-out for 2016, 2017, and 2018 models. The company had initially hoped to complete the roll-out sometime in the first quarter of 2019 but now expects it to be completed by the end of the second quarter due to some unforeseen issues. The last models to receive the update will be 2018 dual-tuner OLED TVs. The company also demonstrated how Ambilight can be extended via Philips Hue. The video below includes more information about the latest smart features. 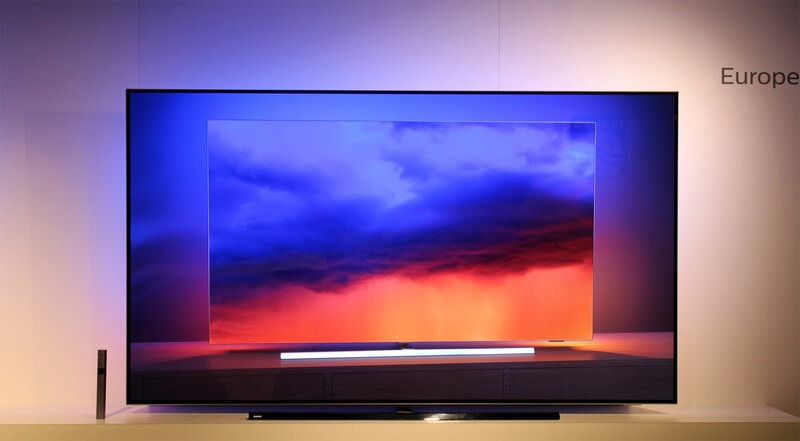 We will bring you more information about the 2019 Philips TV line-up closer to launch and hope to get our hands on samples as soon as possible. Subscribe to our newsletter for the latest news.